Lamson heavy duty liquid cleaners. Formulated to remove mill oils, machinging oils, coolants, and for use on the most stubborn dirt and grease​. From heavy duty hot tank cleaners to sump cleaners. *Due to hazardous material handling, Lamson Oils can only be shipped with Ground Service. All FormAll & LamSyn oils (all water soluble & synthetic products) must sit overnight and be tested the following morning. Typical lead time for shipping is 2-4 days after receipt of order. Cleaner 9002 is formulated for use in agitated or unagitated hot tanks. 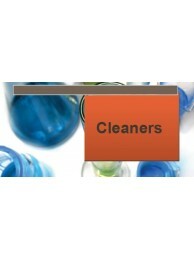 Use it for the cleaning of f..
Cleaner 9005 is a heavy duty liquid cleaner for use in spray washers. It has a foam suppressant that..
Cleaner 9025 is a heavy duty, concentrated cleaner that can be used for a variety of jobs at differe..